Gear Review: Headphones for hiking. They are a good cross between ear buds and in-ear phones. The have a little “silent cap” that confines the music to the listeners ears and more importantly keeps the ear phones from falling out every time the wind blows. 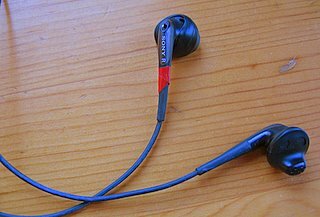 The earphones are also “open air” which allows ambient noise to be heard–important so you can hear people, animals, and other noises you should be aware of. They are light weight: five grams (.18 ounces), yet sturdy. I’m hard on stuff and a pair will last me a whole thru-hike. I get a new pair every year. Next Next post: Camp towel versus ShamWow!